I have a delicious little recipe for you today and it is SUPER easy! 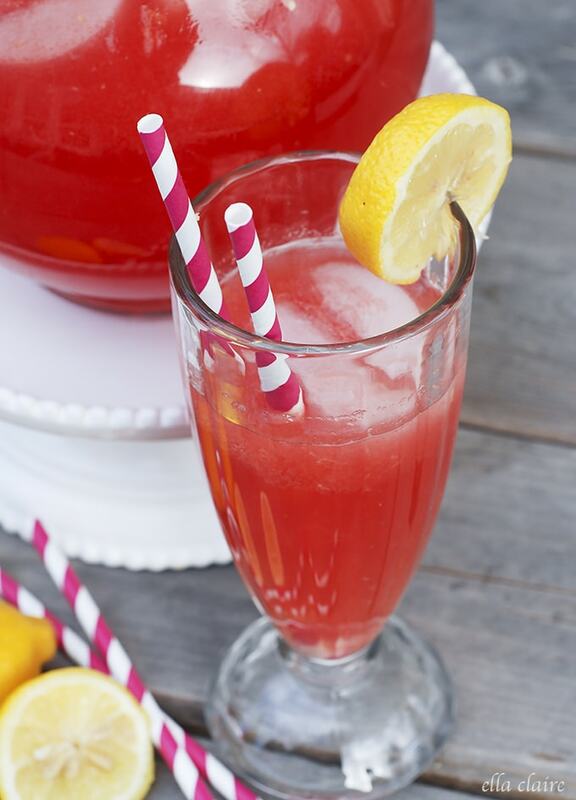 This sparkling watermelon lemonade is a perfect and refreshing treat for any summer day and is a gorgeous drink to serve for those backyard barbecues. 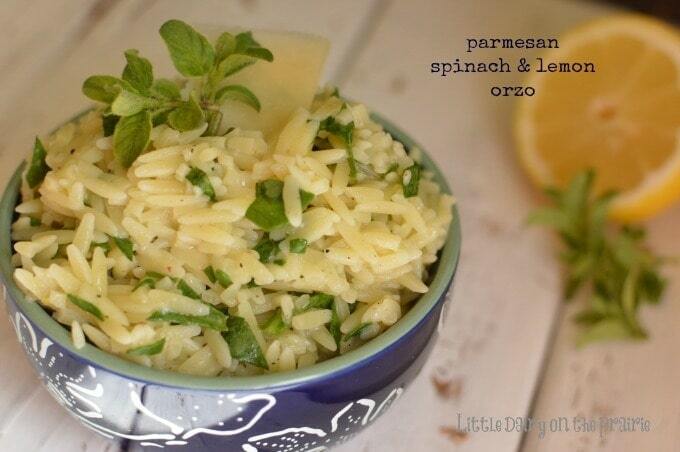 This is a great recipe for the kids to help make as well! Blend watermelon in blender until smooth. 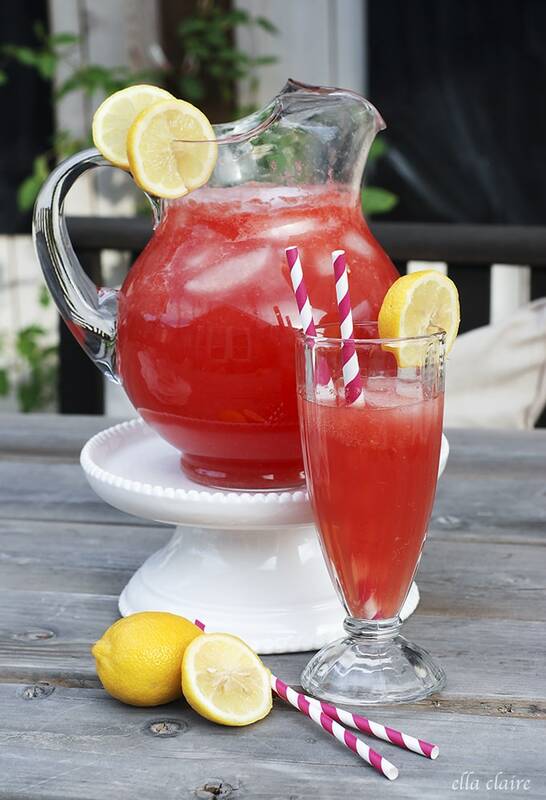 Pour watermelon into a pitcher and add lemonade concentrate, stirring until combined. Slowly add the chilled soda and stir. 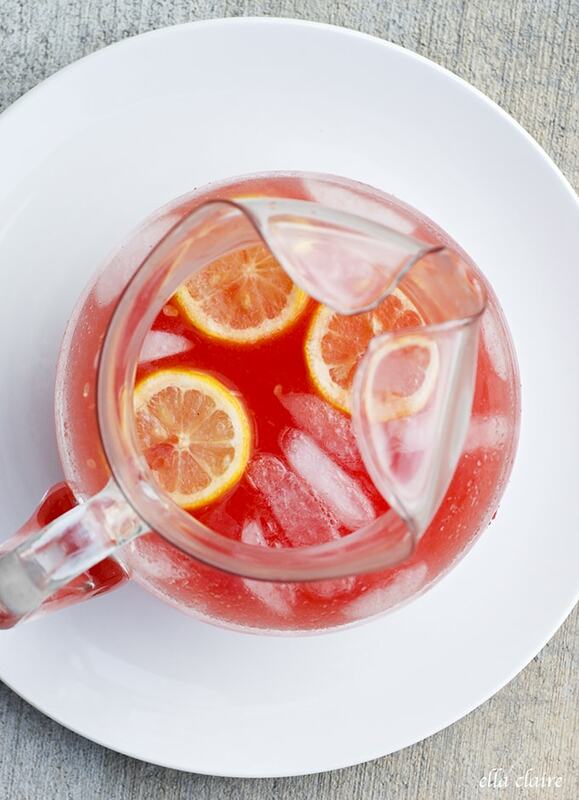 Add ice and garnish with lemon slices (optional) and enjoy! Best if served immediately or store leftover sparkling watermelon lemonade covered in the refrigerator. Serves 8.